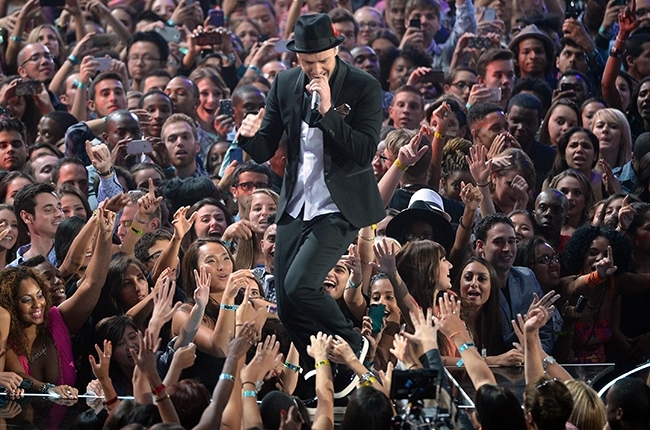 The 2013 MTV Video Music Awards took place on Sunday night, August 25. The show opened with a deranged-looking, yet toned down Lady GaGa who sang her lastest hit single “Applause”. It was a rather good performance that had a number of onstage costume and wig changes, which is always interesting to see. She spent the vast majority of that performance awkwardly sticking out her tongue, twerking, and crotch-touching. Robin Thicke made his way to the stage, and together they sang “Blurred Lines”, and Miley played touch-crotch with both herself and Mr. Thicke. I think she even licked his neck at some point. The whole experience left me feeling violated, confused, and with the thought that you probably needed to be incredibly intoxicated to enjoy that performance. It was so chaotic and there was a lot of unnecessariness (I am totally uncertain if that’s actually a word or not, but I’m going to roll with it) taking place and it was just a lot to process. Kanye West then performed “Blood on the Leaves”; most of the time he was a tall dark shadow bouncing around on the stage accompanied with nothing but a simple back drop. Still, it was a pretty good performance proving that less can be more *cough cough* Miley Cyrus. Macklemore & Ryan Lewis performed “Same Love”, which took home the award for Best Video With A Social Message, along side Mary Lambert and Jennifer Hudson. 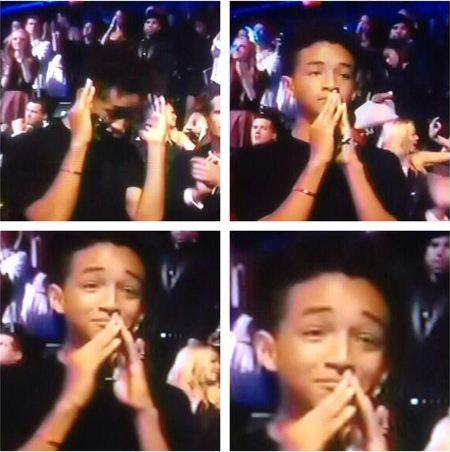 Drake performed “Hold On, We’re Going Home” very pleasantly. I noticed that he’s been working on those live vocals. I was starting to get into it, then he switched over to “Started From the Bottom”, and I truly find this song to be way to repetitive and irritating. I was genuinely hoping he’d do almost anything else, but hey, people love it. However, I don’t think anyone was as touched as Jaden Smith who looked as though he had just had some sort of spiritual awakening. Bruno Mars sang his little heart out as he performed “Gorilla”; I thought that vein in his neck was going to burst. He won his first moon man for Best Male Video for “Locked Out of Heaven”. Katy Perry closed the show with “Roar”. I found the boxing theme to be quite cute. 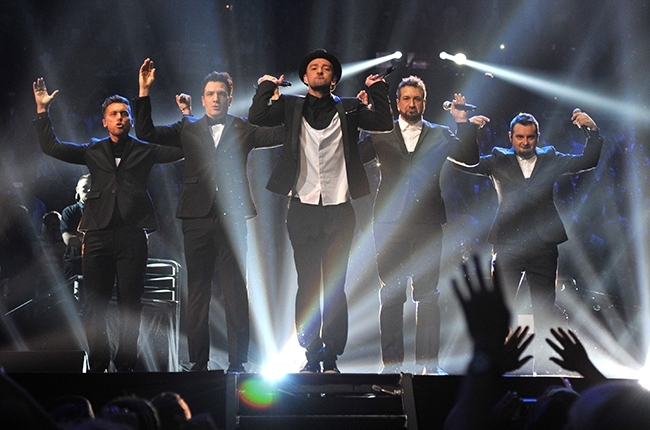 Truth be told, Justin Timberlake should have closed the show seeing as he shut the whole thing down. His set seemed to last for like twenty minutes, I may very well be over-exaggerating, and every moment of it was electrifying, and proved why he was the recipient of the Vanguard Award. Timberlake performed a plethora of his greatest hits, and I would just like to applaud the fact that he danced throughout most of his performance and still sang live from the beginning until the end. One of the biggest highlights of the night was when N’Sync hit the stage, of course. Old fans rejoiced upon their arrival. They sang “Girlfriend”, “Bye Bye Bye”, had a little dance break, and Justin had them retreat from that stage faster than Destiny’s Child at the Super Bowl. Hands down, I would say that Timberlake had the best show of the night. He was able to hold a crowd of both fans and peers without any struggle. Frankly, I actually turned down my TV following his set. I know it’s not fair to the other performers, but I think MTV is the blame for placing him in middle of the show vs. the end. The VMAs as a whole was pretty mundane, though Will Smith seemed to be having a hoot everytime the camera went his way. Maybe it was one of those things were you had to be there, then again Rihanna’s expression of stark boredom mirrored my feelings exactly. So those of you who didn’t see it I guess you should just watch for yourself, and make your own call. Sidenote: Best Pop Video went to Selena Gomez for “Come and Get It” (her first moon man), Best Female Video went to Taylor Swift for “I Knew You Were Trouble”, Best Song of the Summer went to One Direction for “Best Song Ever”, Artist to Watch went to Austin Mahone for “What About Love”, and Video of the Year went to Justin Timberlake for “Mirrors”. Tags: Justin Timberlake, Lady Gaga, Macklemore, Miley Cyrus, MTV, MTV Video Music Award, Music, Robin Thicke. Bookmark the permalink.